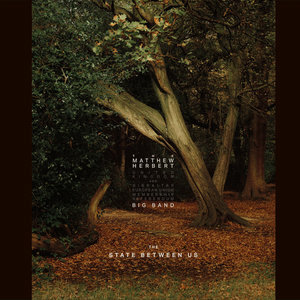 Matthew Herbert's The State Between Us is an extraordinary album for extraordinary times, as it addresses Brexit and what it means to be British and European. It's Saturday, the 23rd of March. Six days before the UK was supposed to divorce itself from the European Union. An estimated one million people are marching in London, asking the Government, Parliament and anyone who will listen to hold a People's Vote on this momentous decision. Meanwhile, an online petition, asking the Government to revoke Article 50, the legislation that will see the UK leave the European Union, has attracted over four million signatures. Further still, around two hundred marchers are marching from one end of the UK to London to demand we leave the European Union. And this is what is commonly known as Brexit. Or as most people across Europe now refer to it, #brexitshambles. By any stretch of the imagination, it is an extraordinary time to be British and one that feels like the end of times is upon us. In response to this, and to try and make some sort of sense and commentary on Brexit and what it means to be British today, acclaimed musician, artist, producer and writer Matthew Herbert is releasing his new album, The State Between Us pointedly on the 29th of March, Brexit day (which is currently looking more like Groundhog Day). For this release, Herbert is adopting a slightly different moniker for his band and therefore the album is being released under the name of the Matthew Herbert Great Britain and Gibraltar European Union Membership Referendum Big Band. The State Between Us is a genuinely collaborative effort, featuring over one thousand musicians and singers drawn from across Europe with notable contributors such as Rahel Debebe-Dessalegne, Arto Lindsay, Merz, Patrick Clarke, and highly respected solo instrumentalists Enrico Rava, Byron Wallen, Sheila Maurice Gray, and Nathaniel Cross. A double album, the 16 tracks come in at a not often seen one hour and 58 minutes. Clearly, Herbert and colleagues have a lot to say. With so many musicians involved you would be forgiven for worrying about the quality control exercised on the album, but fear not. This is an extraordinary and immensely moving album. Album opener "A Devotion Upon Emergent Occasions" sets the tone with birds tweeting, monks chanting and the sound of a huge buzz saw cutting down what one must presume to be an ancient oak tree. A symbol of Britain and a nice symbolic reference perhaps for the cutting of the UK's ties with mainland Europe. A reckless, feckless and needless act of vandalism. These evocations of Britain and British life pepper the album; teatime war dances and World War II planes, snippets of poetry, bubbling streams, birds and animal sounds, and cars being cut up are all thrown into the mix. The heart of the album though can be found in track three, "You're Welcome Here". Ostensibly it's about migration, immigration, loneliness, and otherness (in my head I can only see images of desperate refugees washed up on Europe's beaches seeking somewhere safe and secure to live). But Herbert is asking deep philosophical questions of us with this song. Who are we? What, and where, is home? How can we reach out to those in need? What is it to be British, European, or even human? The world has veered sharply towards populism and nationalism over the last few years, and it strikes me that Herbert and the musicians gathered here on The State Between Us are desperately trying to pull us back to some sort of normalcy, whatever that may be. It's refreshing to hear such an intelligent, thought-provoking and political album as this. The Matthew Herbert Great Britain and Gibraltar European Union Membership Referendum Big Band are to be applauded for making an album that really could only have been made by Europeans, in Europe. Let's hope that remains the case for future generations.